Winter is the season that can be most harsh on a person's skin. Cold winter air and strong winds draw the moisture out of skin. This causes the skin to become rough and chapped which can lead to irritation and itchiness. Often times the solution may not be as difficult as thought. 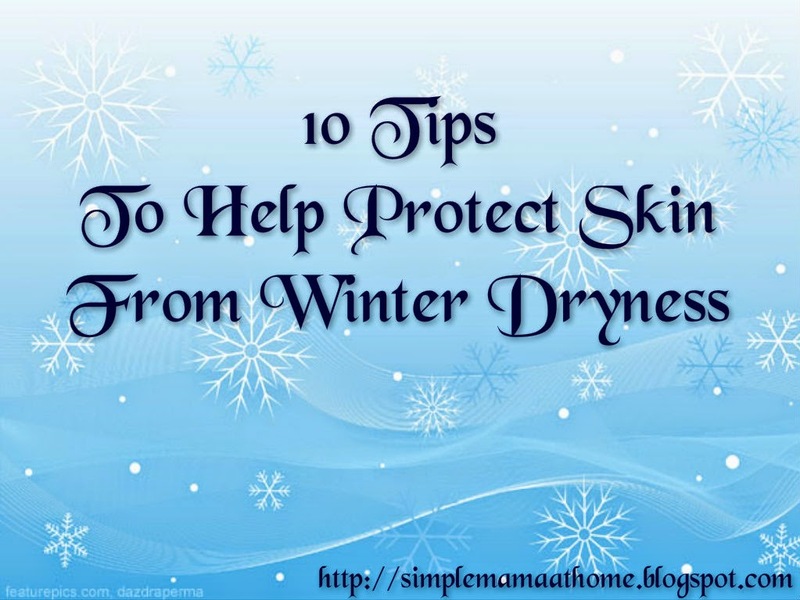 The following are some simple tips to help prevent skin from becoming dry in winter. 1. Drink extra water to keep hydrated. This will not only benefit skin but also health overall. 2. Take showers instead of baths when possible. Use warm water, not hot and limit the time your skin is exposed to water as prolonged exposure to water, especially hot water, can wash away the natural oils that protect the skin. 3. When inside try to lower the thermostat and wear layered clothes to make up the difference. 4. Use facial cleansers that are less harsh on the skin. Look for cleansers that contain lanolin, cocoa butter, Shea butter and essential oils. 5. Moisturize more. Apply once in morning, during the day, and once again at night. 6. When wearing woolen clothing avoid wearing it directly touching your skin. Wear cotton underneath whenever possible as sometimes wool can irritate skin. 7. Avoid wearing wet gloves or socks as this can lead to itchy and cracked skin and sometimes cause sores or a flare-up of eczema. 8. Wear sunscreen. While sunscreen is an item used more in the summer it can also be used in the winter to help protect skin. Winter sun combined with snow glare can be damaging to skin. Try applying sunscreen to your face and hands about 30 minutes before going outside. 9. Keep a dehumidifier in your home to help get more moisture in the air. 10. When going outside dress appropriately for the cold weather with proper warm clothing. Do you suffer from dry skin in the winter? Have you been able to find relief? And I don't wear much make up, I think this helps also. These are great tips. I get horrible dry skin and have tried several of these items, they do help! Love these tips! I naturally have very dry skin and live in an even drier climate! thanks so much for sharing! Great tips. I have eczema/psoriasis so I have to be especially careful in the winter. I drink lots of water and slather myself down in lotion several times a day! I really need to follow these tips. I have really dry skin in the winter. I really need to increase my water intake, and remember to lotion my hands and feet after taking a shower...it really makes a difference. I needed this! My skin's been really dry lately! Thank you for the tips. I'm going to have to share these with my husband. He has extremely dry hands. I always carry hand lotion to minimize winter dryness! Love Bath and Body Works.